Earlier today, adidas launched a limited edition version of one of their most iconic boots – the Predator Precision. Worn by some of the game’s best players including Zinedine Zidane, David Beckham and Steven Gerrard, the new release has been re-imagined for the the modern game using updated materials and design techniques. Let me jump in here before you get really excited about these boots to relay the news that they have already sold out. In typical limited edition fashion, the Predator Precision only lasted an hour before the entire range was sold. There is a chance pairs will be relisted over the next few days, here is where you will find them listed at soccer.com. But, lets still go over performance and the important characteristics of the release. 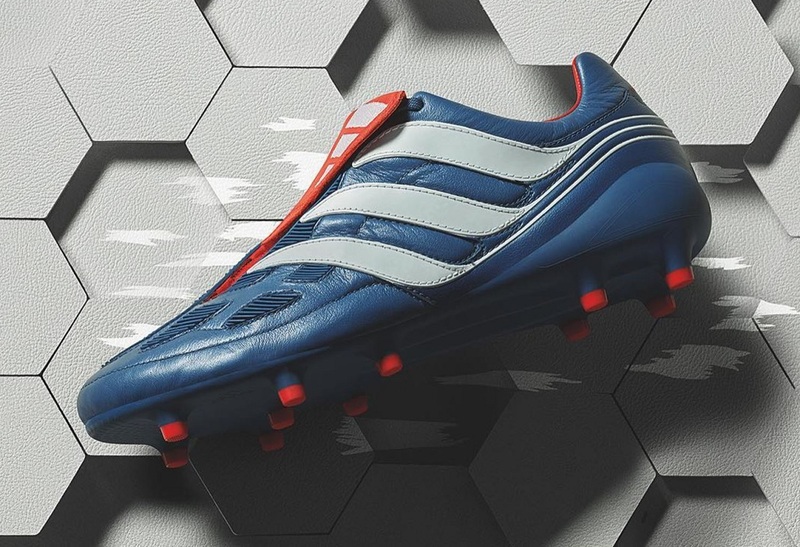 basically, the new Predator Precision – part of the Limited Collection range – was created as a replica of the iconicblue boot from 2000. Visually they are very similar to the original, with adidas designers visiting the archive in Herzogenaurach during the design process to ensure the exact same color and design features were included on the modernized version. The upper is made of a premium K-Leather, ensuring they deliver on expected performance and continue the trend of classic styling of the boot. But of course, modern adidas technologies, including the introduction of modern tooling and a new lightweight upper, are included to compliment today’s players and ensure you can control the game just as the original did in 2000. Again, the limited Predator Precision remake collection (including FG, TF and Ultraboost models) all sold out very quickly yesterday, BUT, as is the case with quick selling boots like there, there is a chance unsold pairs will be relisted over the next few days and here is where you will be able to find them at soccer.com.